Things are pretty much exciting at this time in Kenya and Tanzania as over a million wildebeests are crossing rivers dominated by crocodiles. Africa’s wildebeests are dead serious when it comes to its annual trek from the Serengeti National Park to Masai Mara National Park. This is named as the most famous mammal migration on earth which is participated by 500,000 gazelles–species of antelope and 200,000 zebras. It is an exhausting journey in search for food and it’s made even more challenging because of 6 meter-long Nile crocodiles that are waiting at the rivers. Grumeti Rivers in Tanzania and Mara Rivers in Kenya are the most terrifying route for wildebeest. Pushing each other towards the water below is the only resort it could do to take away those fears. 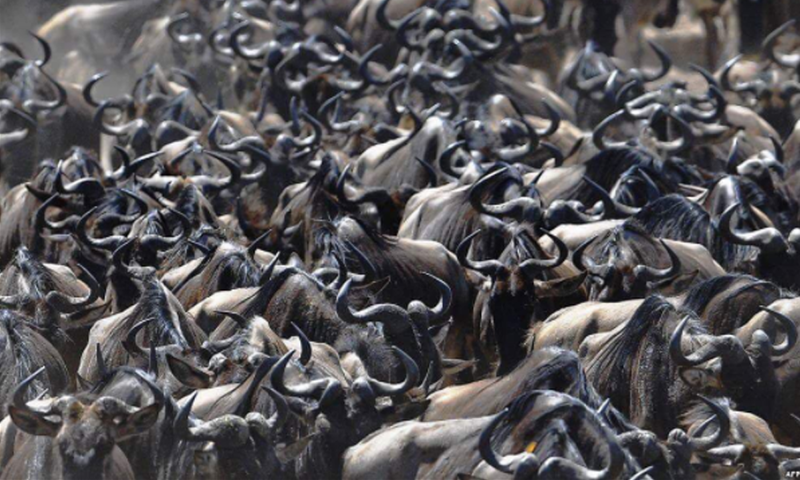 Even though there’s a possible unfortunate fate coming to wildebeest’s way, it is still declared as the best time for tourists to see this marvelous migration on late June. This is the time when wildebeests and other wild animals head towards the Northern Serengeti.